Each player is a squirrel (Amelia, Emily, Jack and Oliver) who must Save, Eat, Share and Collect their acorn cards. The winner is the squirrel who saves the most acorns by the end of the game. There are two versions of this game. The beginners game with no special cards, and the advanced game that includes the special cards. You will need 2 – 4 people to play this game. 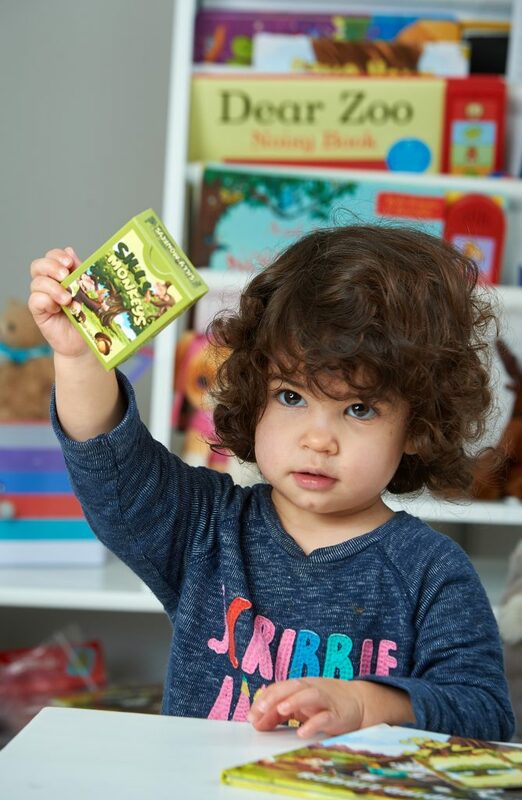 All players will need to take a squirrel card (Amelia, Emily, Jack and Oliver) and place it in front of them. Separate the acorn cards from the rest of the pack and shuffle. Deal each squirrel four cards face down. Place the pack down in the middle where everyone can reach it. This stack of cards is the Acorn Tree. All squirrels pick up their cards and hold them so no-one can see their hand. The youngest squirrel goes first. On subsequent games, the squirrel who saved the least acorns at the end of the previous game can go first. Save, Eat, Share and Collect in that order. Squirrels like to save. Start by Saving one of your acorn cards by placing it face up next to your squirrel card, so the other squirrels can see how many acorns you have saved. You can only Save if you have two or more cards, as you need to have a card to Eat on step 2. If you only have one acorn card in your hand on your go, pick up two cards from the Acorn Tree instead. This ends your go. TIP FROM GRANDPA SQUIRREL: Save your highest acorn card! Squirrels get hungry. Eat one of your acorn cards by placing it face up on the discard pile next to the Acorn Tree. TIP FROM THE BEARS! Eat your lowest acorn card. Squirrels like to Share, by letting you have one of their cards. Pick a card (you can only see the back of the cards) from the squirrel on your left and add it to your hand. It’s a secret! Make sure you keep your cards hidden. Squirrels like to collect acorns. Collect a card from the Acorn Tree. This ends your go. The squirrel to your left can now repeat steps 1 to 4: Save, Eat, Share and Collect. Continue until the Acorn Tree has no cards left. Once the last card is drawn from the Acorn Tree then each player must count how many acorns they saved. When the last acorn card has been taken continue to play by saving, eating and where possible sharing. Once all the cards have been played out, count your saved acorns. The WINNER is the squirrel who saved the most acorns! Follow the beginners instructions but, after dealing the four acorn cards to each squirrel, add the special cards – 1 x Grandpa Squirrel, 2 x Friendly Bear, and 1 x Silly Monkey – to the pack and reshuffle. This is now the Acorn Tree. On your next turn, instead of Eating one of your acorns place Grandpa Squirrel on the discard pile and collect two extra cards from the Acorn Tree (if enough cards). All the other Squirrels can collect one extra card from the Acorn Tree too (so long as there are enough cards left). Continue your turn with steps 3 Share and 4 Collect. On your next turn instead of Eating one of your acorns, place Friendly Bear on the discard pile and collect some saved acorns from all the other squirrels. Each squirrel can choose one saved acorn card to give. If a squirrel has no saved acorns they cannot give. 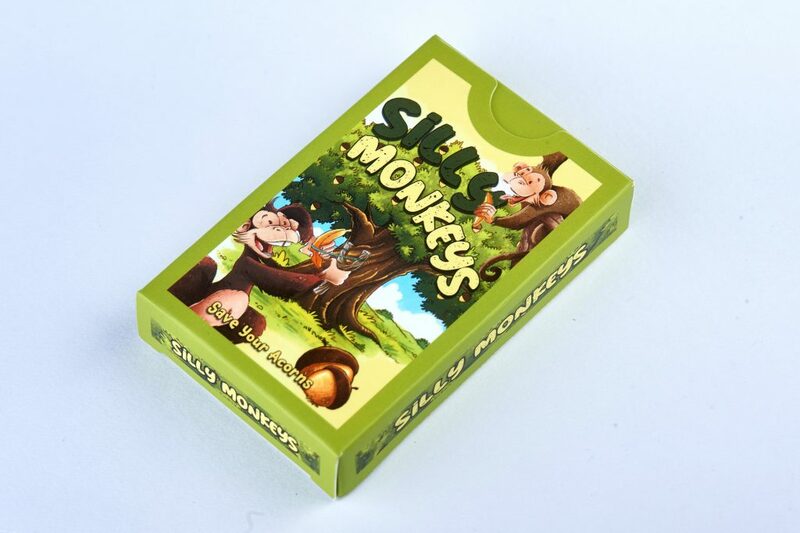 If you get the Silly Monkey card keep it secret and hope another player will pick it on their Share turn! If you are left with only two cards in your hand you will be forced to play Silly Monkey instead of Eating. Place him on the discard pile as well as all your saved acorns, continue your turn with steps 3 Share and 4 Collect. Next turn, start saving again. If you still have Silly Monkey in your hand at the end of the game, you must place all your saved acorns on the discard pile. TIP FROM GRANDPA SQUIRREL: Try and play Silly Monkey early in the game so you can start saving again! Eat, Save, Collect and Share! In today’s world of instant gratification, the idea of saving for the future is more important than ever. It is natural for children to want things right away. This game teaches children that if you save your acorns, you will have a supply of acorns for the future. Another important theme of the game is not to be greedy and eat all your acorns at once. You don’t want a Silly Monkey to make you lose your saved acorns. The game also stresses the importance of helping others. The Grandpa Squirrel card allows all the squirrels to save more acorns. Children learn that charitable giving is important. Are the acorns that the squirrels save like your pocket or gift money? Should you save your money? What did you learn when you collected the Grandpa Squirrel card? Have you ever helped a friend who needed something? 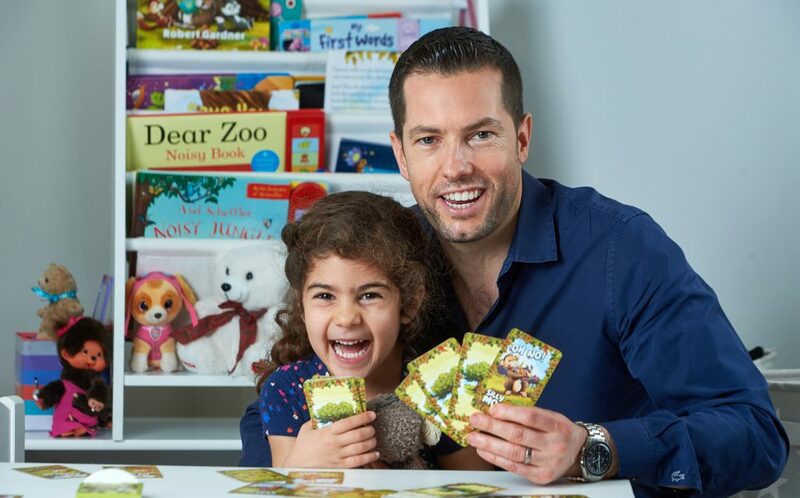 What did you learn when the Silly Monkey made you eat all the acorns and waste your savings? Have you ever wasted anything?